Suzanne Aldridge approached Ilona Design after participating in one of our Branding Workshops. She had bought a vintage blue caravan and was planning to use it as a business for events, children’s parties, weddings and shows. She is also a stockist for Belle & Boo children’s gifts and stationery, so she planned to partner with them to provide Belle & Boo themed children’s parties. The brief was to provide a high end logo in keeping with her audience. In our initial research we explored styles of vintage Winnie the Pooh, vintage Disney as well as pretty bunting and lace, as you can see on the moodboard. After the initial concepts it was decided that the direction would be hand drawn, cute yet classy. 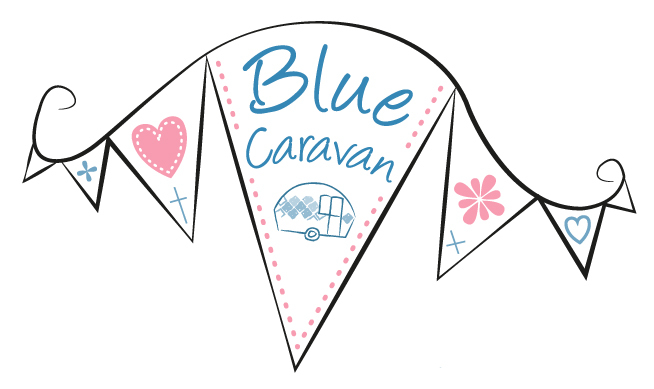 The result was this fun, stylised caravan with bunting sub mark together with branding elements that can be used as icons on the website and branded literature. I love it!!! Thanks so much Louisa.